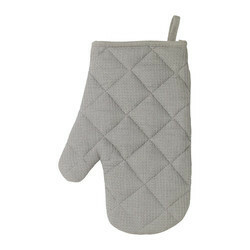 Our range of products include non slip kitchen gloves, kitchen oven gloves, kitchen gloves and kitchen cooking gloves. We are affianced in offering a wide array of Kitchen Gloves to the clients. 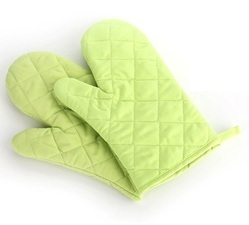 These mittens are extensively used for various household purposes by the customers. With sincerity and hard work of our professionals, we have carved a niche for ourselves in this domain by offering wide gamut of Kitchen cooking gloves. which is fabricated with the help of supreme grade fabric and high-tech machines by skilled professional. Our offered product is widely demanded for home decor.